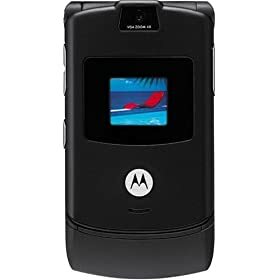 The RAZR has a camera, a web-browser, Instant messaging capability, and a whole array of other features all of which are listed in the product description. To the extent that the RAZR does these things adequately I will offer little, if any, comment--mainly because I don't care about them. That to which I can and will attest is that the RAZR exceeds my expectation on how it serves AS A PHONE. Using my own criteria, a wireless phone should draw and hold a signal; It's earpiece should deliver clear sound at a volume which can compete with background noise; it's mouthpiece should pick up the users voice clearly; it should be compact enough to allow for placement in clothing pockets without creating prominent bulges; it should be solidly built out of durable materials which are not prone to scratching; it should have decent battery life. And yes, anything for which I pay hundreds of dollars should be designed with aesthetics in mind: there are far too many wireless phones which look like disposable children's toys, or like awkward, all-purpose, button-riddled gadgets. Using the above criteria, the RAZR V3, particularly the Black model, is close to perfect. The sound from the ear piece could certainly be louder, but I have yet to have a caller's voice drowned out by the noise of busy New York City streets. The people to whom I'm speaking have reported to have heard my voice loudly and clearly. Battery life could be longer, but then, the same could be said about many wireless phones which are bulkier and have larger batteries. I have used the phone on both T-Mobile and Cingular networks and found that it draws a strong signal on both; it has never dropped a call. I found the speaker phone to be loud and clear despite my expectations to the contrary. Is the much-lamented Motorola phone book program clunky? Yes it is. But the RAZR's voice-dialing works well, making it possible to avoid scrolling through the phone book if one hates it that much. I'll try to boil it down with a somewhat clumsy analogy: Complaining that the RAZR doesn't do enough in the way of tech-gimmicks to justify its price (which is considerably lower that it was when it was introduced) is like complaining that an exotic sports car isn't worth the money because it doesn't have a cup holder, a GPS system, and DVD player like the Minivan you've been looking to buy. That ridiculousness ignores the engineering that makes the sports car a superior performer on the road, and the attention put toward making it sleek and aesthetically pleasing. The RAZR's performance has made concern over signal strength a thing of the past. and its design is unmatched--not just for it's ultra-compactness, but for the solidity of it's build. That makes it worth what I paid for it. And my inability to speak to the quality of other phones on the market put them out of consideration. Besides, as they say, black is beautiful. That the RAZR cannot serve as a business-card scanner doesn't trouble me. For those who need to have whichever feature-laden mobile gadget is most desired at the moment, buy a Samsung MM-A800, clip on you belt (you'll need to), and earn yourself the right to say your phone can do just about everything--poorly.